As FWP celebrated International Women’s Day last week, we reflected on the influence of the women in our lives and at our firm. While FWP benefits from the leadership of women as CEO, CIO, and CFO, the broader financial services industry lags in female representation -especially in senior management roles. 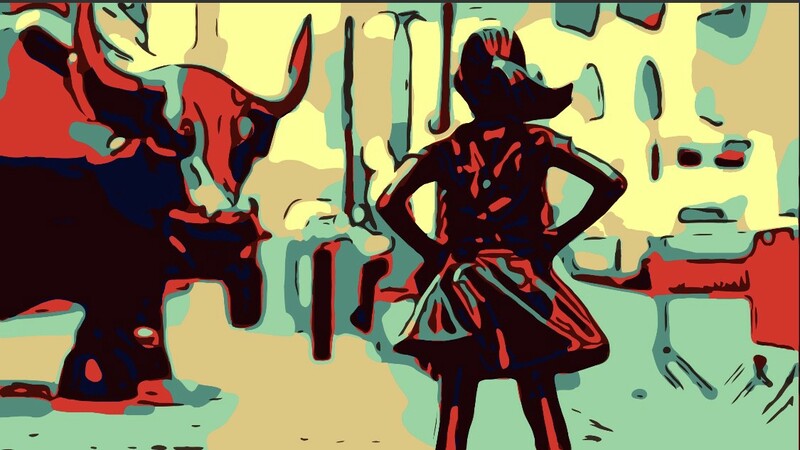 The role of women in companies and on boards has recently been in the spotlight, as investors realize the truth in what Gloria Steinem, Notorious RBG, and Queen Bey have been saying for years: women generate value. Not only can women generate value, but a culture of gender equality within a firm or company can mitigate risk. In 2017, investors saw that lawsuits related to the #MeToo movement posed material risks to a company’s bottom line. In January of this year, pension funds such as CalSTRS and CalPERS drafted and signed the Trustees United Principles to discourage investments in companies with poor sexual harassment or gender equality policies. Mitigating these investment risks is in line with their fiduciary duty. Furthermore, private equity firms are incorporating “Weinstein Clauses” in M&A transactions to ensure that the acquirer will not be liable for past transgressions of the acquired company’s senior management. 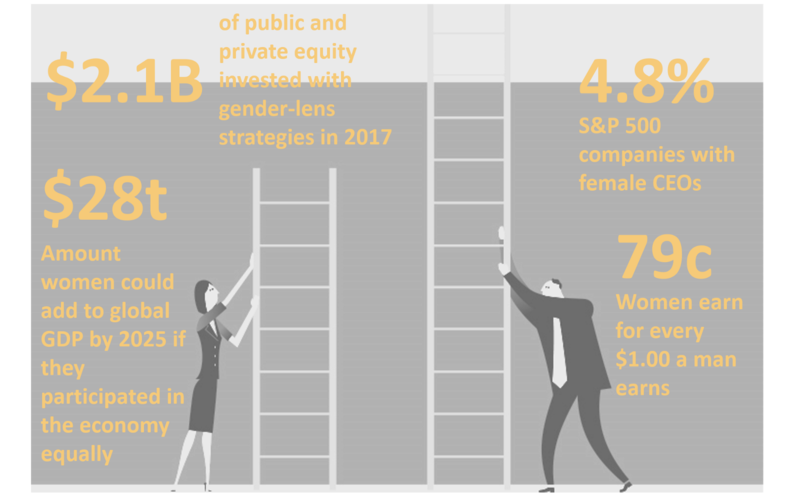 With the thesis that investing in companies with better policies for women provides better risk-adjusted returns, gender-lens investors see opportunities for higher profits are missed when women are not treated equally. Gender equality in the workplace still has a long way to go, but we believe market stakeholders — in conjunction with good public policy — have a major role to play in correcting these issues. In the meantime, we plan to be the boss (not bossy) at work and to reap the returns of investing in women. Disney’s new female-led superhero movie, Captain Marvel, is slaying at the box office as more inclusive casts attract greater audiences. Would it be weird if we started wearing capes to the office? In honor of International Women’s Day, ImpactShares launched a Women’s Empowerment ETF (WOMN) to advance gender equality in partnership with the YWCA. If you’re sick of waiting for Season 3 of The Handmaid’s Tale to premiere on Netflix in June (I see what they did there), grabbing a book in the meantime will help the wait seem shorter! We recommendBetraying Big Brother: The Feminist Awakening in China by Leta Hong Fincher. In Fincher’s non-fiction novel, real life women face situations that you would believe Margaret Atwood made up as they pursue feminist activism under an authoritarian regime. Under his eye.